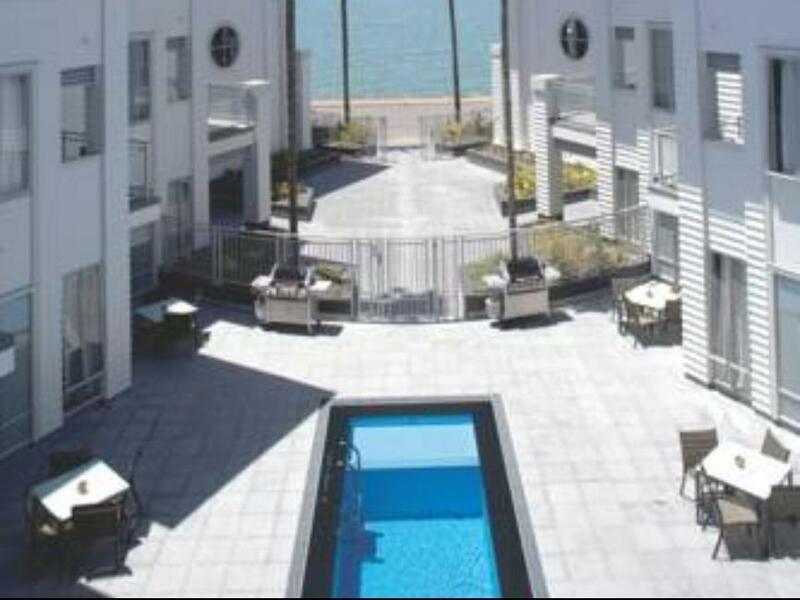 إذا كنت تبحث عن عقار بموقع جيد في المدينة، فقد وجدت ضالتك في The Waterfront Suites - Heritage Collection. يمكن من هنا للضيوف الاستمتاع بسهولة الوصول إلى كل ما تقدمه هذه المدينة النابضة بالحياة. سوف يعشق النزلاء موقع هذا الفندق، فهو قريب من أهم المعالم السياحية في المدينة . إن الخدمات الممتازة وحسن الضيافة العالي في The Waterfront Suites - Heritage Collection تجعل إقامتك تجربة لا تنسى. يمكن الاستمتاع بمجموعة من الخدمات على أعلى المستويات في الفندق كمثل أمن على مدار 24 ساعة, خدمة التنظيف يوميًا, خدمة غسيل ذاتية, خدمات بريدية, خدمة سيارات الأجرة. يمكن للنزلاء الاختيار من ضمن مجموعة من الغرف المصممة بعناية لتعكس جواً من الراحة، والتي يتجاوز عددها 24. يقدم الفندق مجموعة رائعة من الخدمات كمثل حمام سباحة خارجي, تدليك، لجعل إقامتك تجربة لا تنسى. اكتشف مزيجاً ساحراً من الخدمة الاحترافية والخيارات الواسعة من وسائل الراحة والمتعة في The Waterfront Suites - Heritage Collection. للحصول على أسعار "السكان المحليون فقط"، يجب على النزلاء إظهار بطاقة هويتهم الإندونيسية أو KITAS ساري عند تسجيل الوصول. إذا لم تتمكن من فعل ذلك، فإنه يحق لأجودا والفندق تعديل الأسعار بما يتناسب مع الأسعار الحالية لغير السكان المحليين. Right on the sea front close to everything. One thing that’s missing is No Wifi at all in any of the apartments. Need an upgrade for wifi and would make this apartment so so much better. Overall excellent apartments. Thanks for a great stay. We had an enormous 2-bedroom, 2-bath suite with a view of the water. Unbelievable value for what we paid. Great location, near everything. Parking was way and underneath the hotel. Elevator to the unit, however, there were stairs inside to the 2nd floor bedrooms and baths. As such, we left our luggage downstairs rather than haul them up for a two night stay. Having both bathrooms and bedrooms upstairs could be an issue for some. In room laundry was great. Full kitchen was great. Only negative was that the Wi-Fi seemed to run out quick and then you had to buy more. Also, no restaurant on site for room service, but that's o.k. as there are plenty of restaurants and cafes nearby. The suites were terrific and just what I needed after much travel on crutches. I wish I had more time and betty mobility to enjoy it more. If I come back you are a must . I have already post on my facebook how great you were. 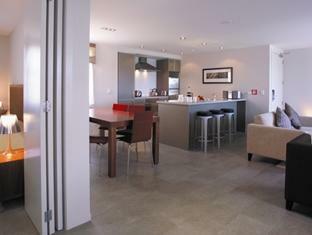 Nice location as just opposite to the Paihia pier and next to the shopping area! Delux suite with two bedrooms, sea view baclony, fully equipped kitchen, heated floor, Sky TV, high speed wifi, underground car park, actually nothing can complaint about! Booked a three bedroom apartment at the Heritage and ended up in the Suites, totally misrepresented on the website. Nothing offered or mentioned when we checked in. My wife left a few clothing items in the apartment and they kindly couriered them back to us....$20 for a $6.90 courier, good job thanks, I guess you get paid double time for going to the post office. In view of the booking stuff up you would at least think they could pay for a $6.90 courier. We got upgraded into a 2 bedroom apartment. Loved the place. Staff were nice. Only problem was the hotel sign could be bigger as it was hard to find. Other than that, we had a great experience! The location is great, close to everything. The room is very clean. My two boys love the swimming pool. The staff are very nice and friendly. Location, surrounded by food and a supermarket, right across the tour agencies.. I love my stay there. Would have been a lot better if we got lift level rooms, coz we had 6-7 20kg luggages that we had to carry up the stairs. I like how near it is to all the great food places. Easy to get to the harbour for the morning dolphin cruise. We booked 2 of the two bedroom apartments, both with nice ocean views, modern furnishings, well equipped kichens, comfortable rooms. The hotel manager was welcoming, we enjoyed our stay very much. 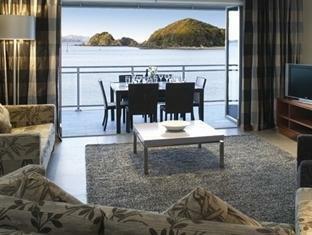 The best hotel in Paihia and I will definitely stay here again next time. location was fabulous. good modern facilities. 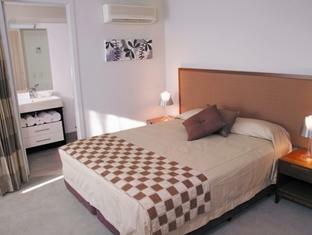 Nice place to stay, good apartment style accommodation. Perfect!! I highly recommend it! For the amount we paid the finishings in the appartment could have been better. Just your general wear and tear but had clearly been left for a while to be in the state that it was in. Great welcome and service at reception. Excellent accommodation and location. 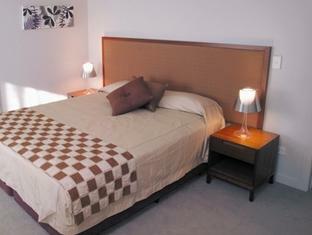 Staff friendliness and professionalism, modern well appointed rooms, location. Absolutely fantastic. Just what we needed after the horrendous traffic jam in travelling up from Auckland. This country needs to spend money on duplicating highways and by-passing small towns and built-up areas. Back to the Waterfront - really high quality standards set and made our holiday memorable.